The Video player is large and has an area next to it that allows you to add a bit of text, which adds a nice touch! It also sits on top of a background image that “moves” as the page scrolls up or down! The Travel Features section is totally unique. You have your choice of 6 or 3 small rectangles that “flip” when a user hovers over the top of them! We call these “Hover Boxes” and they add a nice effect to the site. 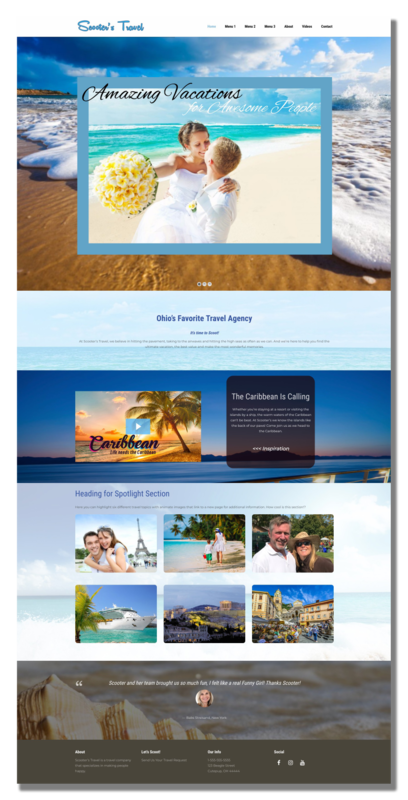 You decide the topics and we’ll create a link to another page for each one so that your visitors can read more. There are additional options for the Plus and Professional packages. 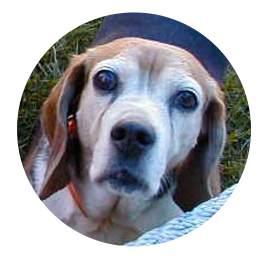 Scooter was a lovable little Beagle girl with big floppy ears who loved to howl, hunt and eat! She lived to the ripe old age of 17 and was loved every minute of her life.